Britain's Queen Elizabeth won't attend Nelson Mandela's funeral or memorial service in South Africa. The 87-year-old monarch has been advised against long-haul flights. 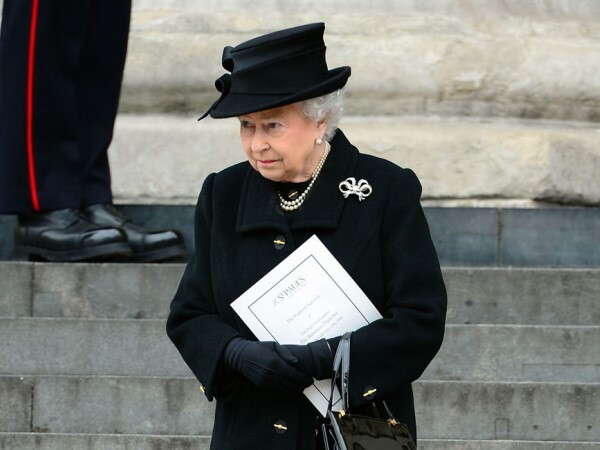 Britain's Queen Elizabeth won't attend Nelson Mandela's funeral. The 87-year-old monarch isn't expected to attend the former South African leader's funeral in the small village of Qunu, South Africa, on Sunday, nor will she attend a memorial service in Johannesburg tomorrow, due to fears over security and her own wellbeing, according to The Sunday People newspaper. The queen has been advised to avoid long-haul flights in the future and thus, the long travel to South Africa may prove difficult for the monarch. Meanwhile, Buckingham Palace has confirmed Prince Charles and his wife Duchess Camilla will attend the events. The royals will be joined by world leaders including British prime minister David Cameron, United States president Barack Obama, and his predecessors, George W. Bush and Bill Clinton. Queen Elizabeth previously paid tribute to Mandela, who died at the age of 95 last Thursday. An official statement issued on Friday (06.12.13) read: "The queen was deeply saddened to learn of the death of Nelson Mandela last night. He worked tirelessly for the good of his country, and his legacy is the peaceful South Africa we see today. "Her Majesty remembers with great warmth her meetings with Mr. Mandela and sends her sincere condolences to his family and the people of South Africa at this very sad time."